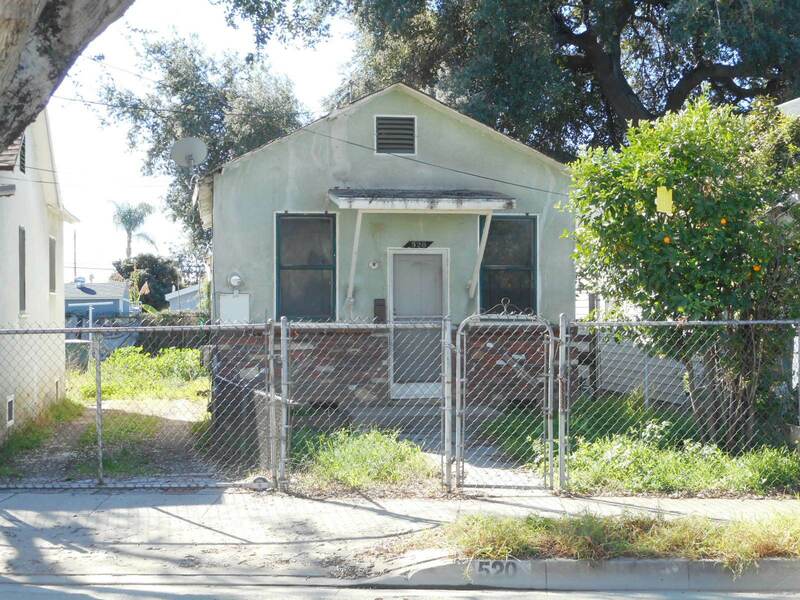 DESCRIPTION: 2 FIXER HOMES ADJACENT TO EACH OTHER WITH A SHARED GATED DRIVEWAY IN THE VERY DESIRABLE SAN GABRIEL VALLEY COMMUNITY OF SAN GABRIEL, CALIFORNIA. 522 E. MAIN STREET – 1 BEDROOM, 1 BATH HOME WITH LIVING ROOM AND KITCHEN. NOT VERIFIED. NO ACCESS. UNCOOPERATIVE OCCUPANT. NO RENT. NO LEASE. 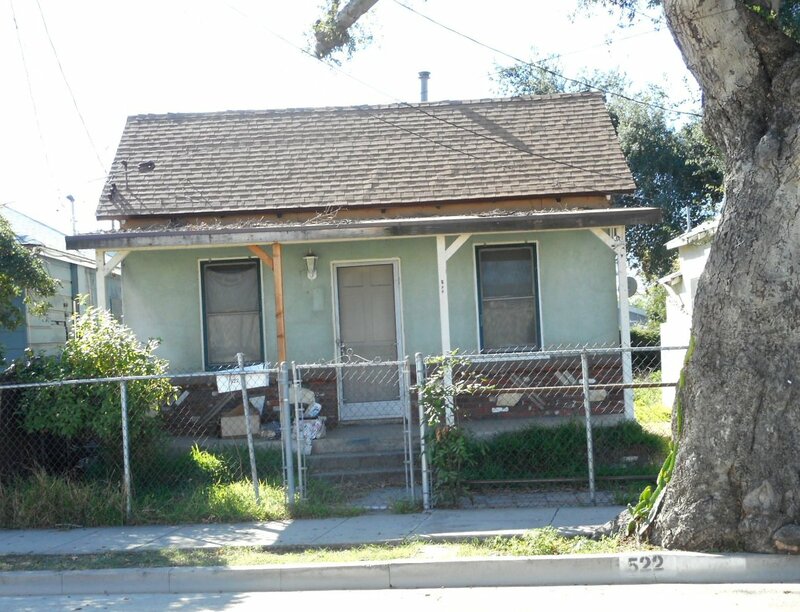 520 E. MAIN STREET – 1 BEDROOM, 1 BATH (NO SINK IN BATHROOM) HOME WITH LIVING ROOM & KITCHEN. GRASS BACKYARD. GREAT FIXER OPPORTUNITY. TWO HOUSES SOLD TOGETHER AS ONE SALE. CLOSE TO SCHOOLS, SHOPPING & PUBLIC TRANSPORTATION. PERSONAL PROPERTY NOT INCLUDED IN SALE. LOT SIZE: 522 E. MAIN STREET – 2,609± SQ. FT.
520 E. MAIN STREET – 2,790± SQ. FT. TERMS: CASH. BUYER TO OBTAIN OWN FINANCING. FINANCING IS NOT A CONTINGENCY TO THIS SALE. PROPERTY SOLD IN “AS IS” CONDITION WITH NO CONTINGENCIES WHATSOEVER. PROPERTY SOLD SUBJECT TO ACCEPTANCE OR REJECTION BY THE SELLERS AND SUBJECT TO COURT CONFIRMATION.